Most modern drones have a dependency on using a mobile device as part of the flight systems, whether for the actual flight or for your pre-flight routine, there’s an app to help you out. Your drone manufacturer will have an app, but what else can you get your hands on? Join us for a rundown some of the best drone apps. We have released our big list of apps from the manufacturers, the apps that you need to fly, as well as a list of DJI GO 4 app alternatives, for DJI pilots. First, some theory. What is it you are hoping to do with your drone? Perhaps you are trying to keep it legal, making sure you can fly in a specific location, there’s an app for that. Maybe you are looking for a logging service to help track your flights, there are tools for that as well, or maybe you just want a weather report. Your needs will differ depending on your drone as well, a camera drone has different needs than a racing drone, for example. Go ahead and run down the list to get an idea what functions a non-manufacturer app can serve for you. We hope to help you find something new and helpful. Personal note: For both my hobby and commercial flights, once I figure out where I’d like to fly, I find myself using AirMap as my first look at airspace, then UAV Forecast to check the weather (and more.) Once I know where and if I can fly, I check Sun Surveyor to see what my lighting will be like. I do end up using almost all of the apps listed below for almost all flights, but these first three, particularly AirMaps, I hit each and every flight. As you well know, the first thing you’re going to need to do with any drone is figure out a place to fly it. Truth is, there are some drone dedicated mapping apps on our list today, they are great at showing where it is safe to fly. Safe places to fly is one thing, but before you get to that point, why not scour Google Earth to find exceptional places to fly. Google Earth is free for your mobile device and available on the web as well. Airmap is one of those tools that does so much more than just map a potential flight location or help you keep a log of your flight. 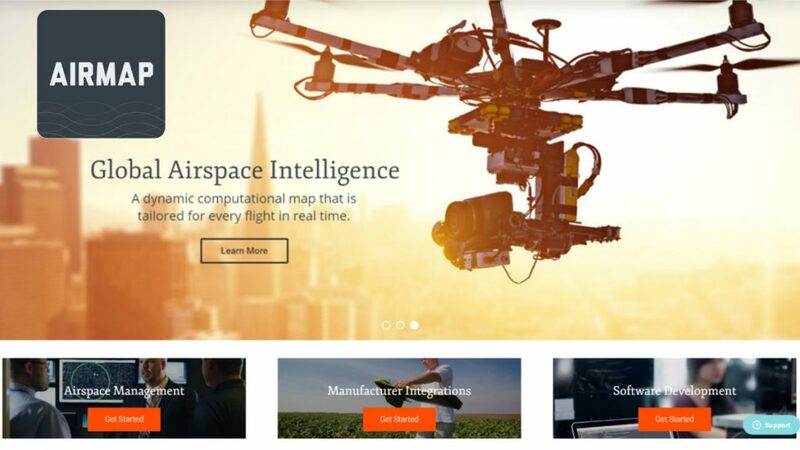 With backing by companies like Microsoft and Qualcomm, not to mention drone players like Yuneec, Airmap is rapidly becoming the de-facto tool for commercial drone flight. Don’t let their drone mapping, geo-fencing and flight logging commercial tools scare you off, utilizing the realtime traffic alerts in their mobile app is value enough. Check out Airmap for your basic needs, or for your commercial piloting business. Airmap has added the ability to take control of your drone! For a small set of DJI drones, Airmap can now operate as your remote control on the go. Airmap will soon be added to our list of DJI GO 4 app alternatives. 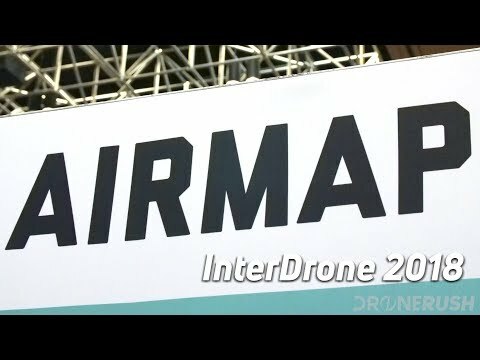 Update September 2018: AirMap has added insurance and opened their software via SDK to the DroneCode community and more. 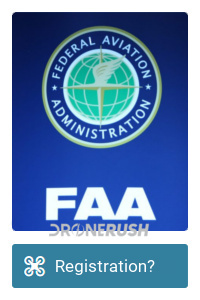 Let’s keep this super simple, the FAA is the entity that enforces drone laws in the United States, this is their app that tells you where and when you can fly. I could stop at that, but I feel you should know that B4UFly is a little bit overbearing sometimes, telling you that you can’t fly in some places that you can. That said, the app provides one of the most detailed airport listings around, displaying the 5-mile radius of each. 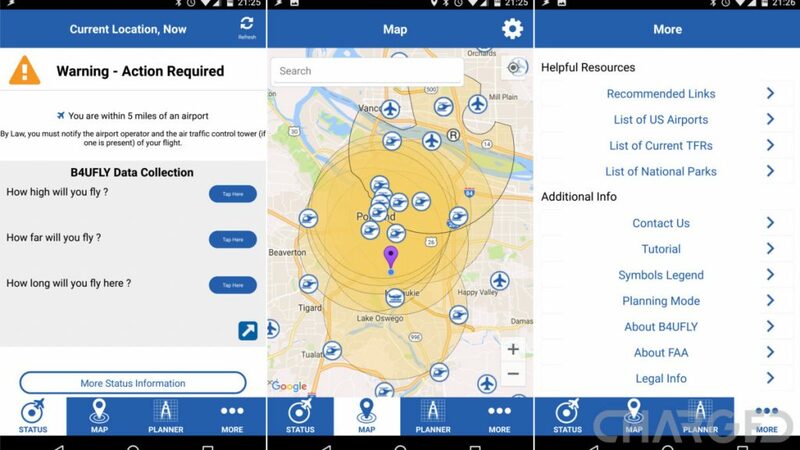 What it boils down to, if in doubt, the B4UFly app is how you go to the source for legal info on drone flight in the United States. I’ve had this app installed for hiking and camping purposes for years, it’s super handy to see the terrain on the go and it once actually saved me when I got turned around in the bush. You can download maps for offline use and more. It is only just recently that I was looking through the dozens of map layers they offer and found US Sectional Charts. That’s right, if you want to see for yourself exactly what airspace you are flying in, you can do it easily and for free with US Topo Maps. I have been using the free version of US Topo Maps, but I think it’s time to upgrade to US Topo Maps Pro for $11.99 for Android. There are similar, but not the same on iOS. Don’t live in the US? ATLOGIS Geoinformatics GmbH & Co. KG has an app for over 12 countries/regions around the globe. Hover is an underrated app, providing mapping and location awareness info as provided by Airmap, but then adds in weather info. At a glance, Hover can tell you if it is safe to fly. Taking visibility, wind, location and more into consideration, Hover may not be the only drone app you need, but if you were to stick with just one, an app like this is certainly a solid bet. Grab Hover for your mobile device now. Next up is an app that we hesitated at first to include. 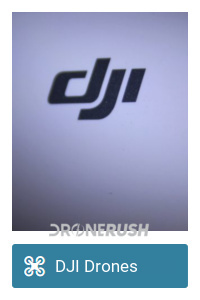 We had hoped to make a list of best drone apps that did not focus on any one vendor, truth is, DJI is such a major player, and this app is so cool, we couldn’t resist. 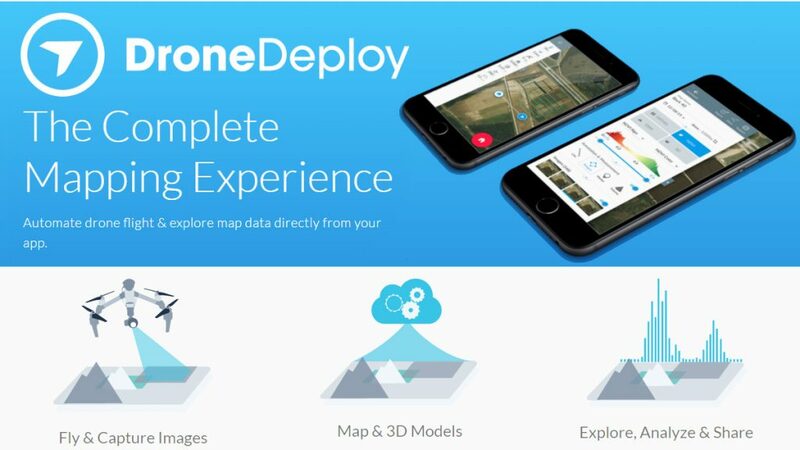 If you own pretty near any DJI drone from the Phantom 3 and newer, take a look at DroneDeploy as an alternative controller for your flying machine. 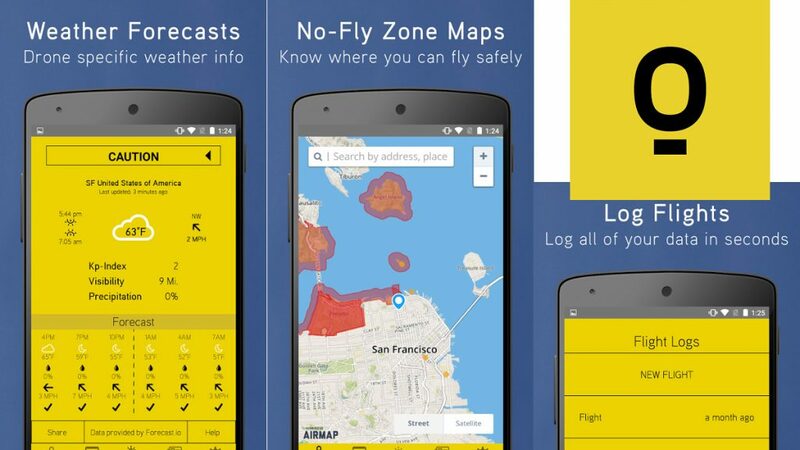 The app provides advanced flight planning and autonomous control for your drone. Select a path of coordinates and watch your drone fly the route, have the app control camera exposure on the go and much, much more. 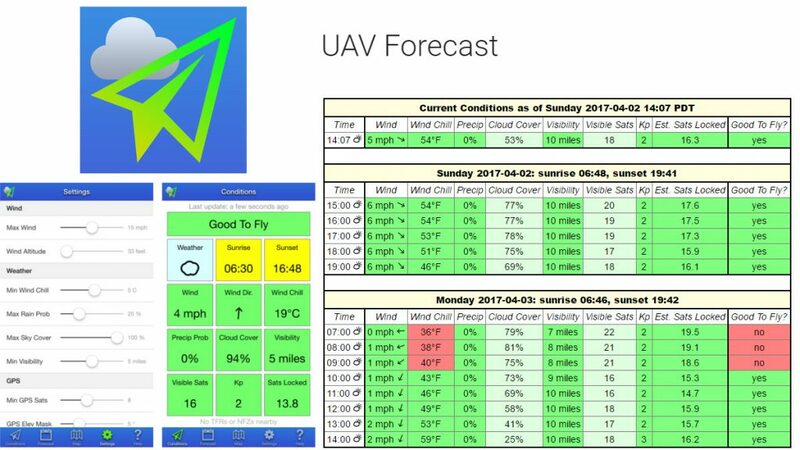 Focusing almost entirely on the weather, UAV Forecast strives to provide detailed wind and weather information to help you decide if it’s safe to fly. Tell the app the parameters of your drone, it can then quickly indicate whether or not today is the day to fly. A range of piloting info is provided, including wind speed and direction, wind chill and temperature, cloud cover, visibility and more. Not to be outdone by other apps out there, UAV Forecast also provides mapping with visible no-fly zones. Check it out for your weather needs. Let’s see, we’ve covered apps that check the weather, apps that have maps with no-fly zone listings, maps with active air traffic information, apps that keep flight logs and help you track your drones, now for one app that does all of the above. 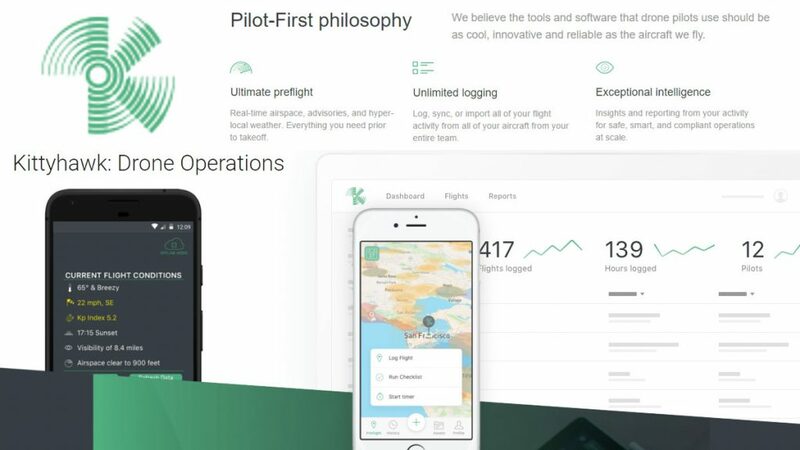 Kittyhawk: Drone Operations is a robust app and platform, including everything from pre-flight checks to post-flight analysis. Kittyhawk is an ambitious app and platform ready to get you in the air and make of the most of your time in the sky. Buyer beware, this app is free, but the software behind it is not. That being said, Pix4D is a powerful 3D mapping tool for your drone. 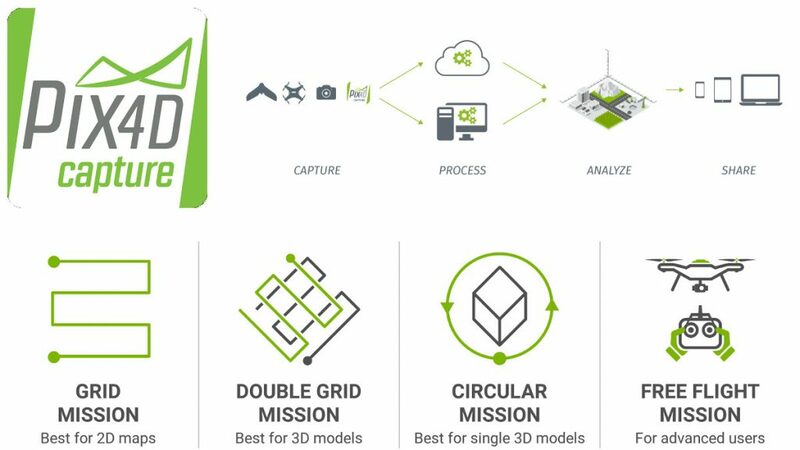 Much like DroneDeploy, Pix4D offers programmable flight routines for many popular drones, (not just DJI,) but then captures imaging data for advanced 2D and 3D output. As I say, you’ll need some expensive software on your PC to get the most out of this, but the output is pretty slick – at least in a commercial/business 3D mapping sense. I want to note that you may have looked at or used Pix4D and not even known it. 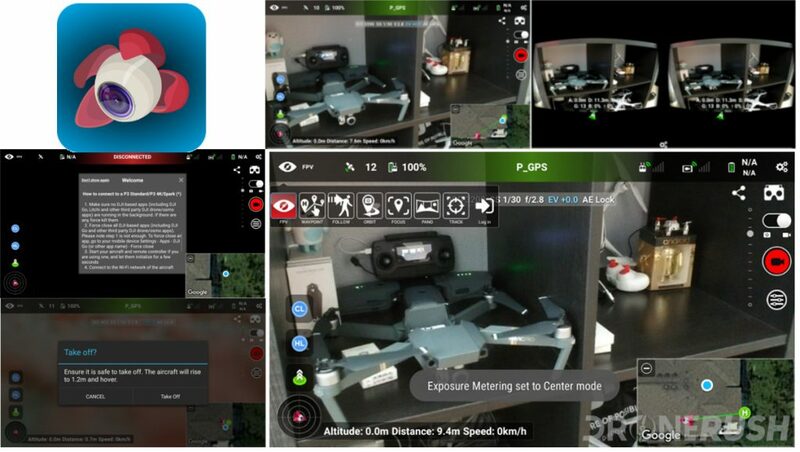 Manufacturers like Yuneec are building their core apps using Pix4D for mapping and more. If we were giving out an award for the best drone app to keep an eye on in the next two years, Pix4D would be our pick today. Check out Pix4D for Android or iOS. If you’ve ever been outside… I’ll just stop that right there. Outdoor photography is almost entirely a matter of managing sunlight, this is never more true than with drone photography, as there is no shade up there. Instead of guessing where the sun and moon will be, why not know for certain, Sun Surveyor does this, with great accuracy. The perfect sun or moon position is but an app away. 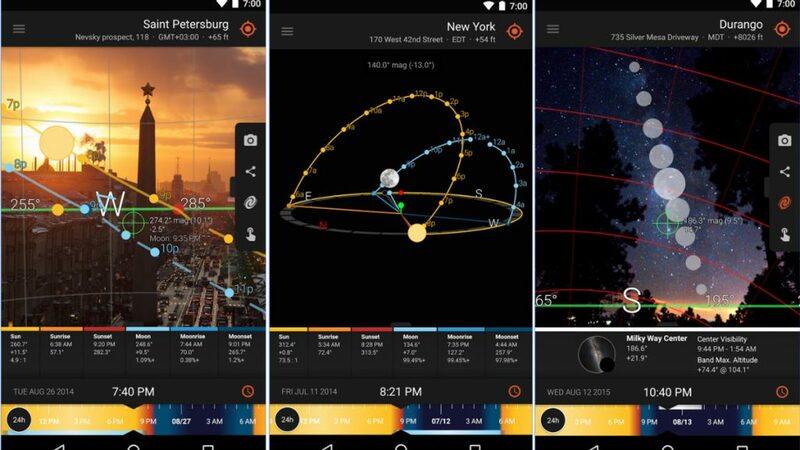 Sun Surveyor (Sun & Moon) is $7.99 for Android and $9.99 for iOS. Insurance. Love it or hate it, insurance is an important part of modern day living. 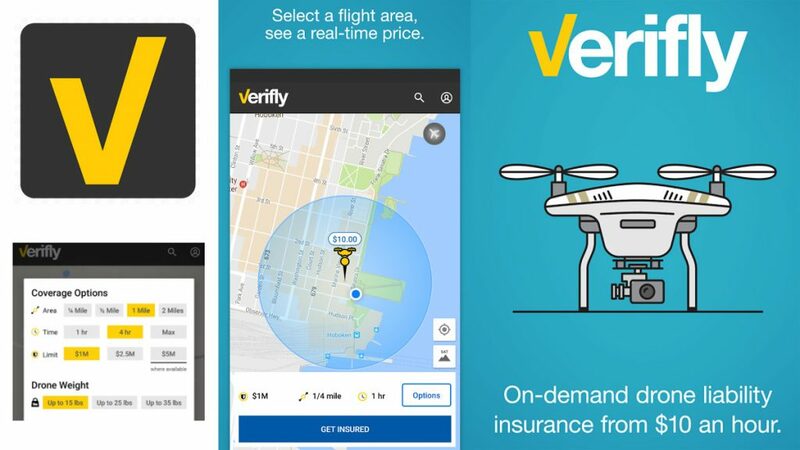 Unlike your car or house insurance, which you pay a premium each month, Verifly is doing something different, insurance on demand. The idea is simple, your flights, particularly commercial operations, are either too few or too spread out and unpredictable to commit to full time insurance coverage. Verifly allows you to log your start time and finish time, then just pay for what you use. It starts at around $10/hr. Hit the download buttons below to see more details on the actual coverage. Policies are underwritten by Global Aerospace, Inc.
We all know that you need the official DJI GO / DJI GO 4 app to fly your favorite DJI drones, right? Wrong! There are a few alternative apps out there that can take control of your DJI Mavic Pro, DJI Spark, DJI Phantom series drone and more, the best of these apps that we’ve tried to date is Litchi. The full app name is long, but explains most of what it does, Litchi for DJI Mavic / Phantom / Inspire / Spark is a robust app that maintains the same feel as the DJI apps, but does things a little differently. Basically, if you will, if you are looking for the best of the DJI application, plus a few new treats, Litchi is well worth your consideration. The waypoint flights and VR/FPV functionality built-in are the key factors that attracted me to Litchi. Rich features and functions like these are at your fingertips through the going price of $24.99 for the app, which may be beyond what many might consider. I have only a single flight under my belt with Litchi and the DJI Spark, I’ll be sure to update this recommendation with new info as we go. For now, a huge thank you to Litchi themselves for providing me access to the app for testing. Check out Litchi for DJI Drones on Android for $24.99, or load it on your iOS device, that’s Litchi for DJI drones for $22.99 on iOS. That’s all for today, we hope you’ve found a new app or two to enhance your flights, or get more out of the captured aerial footage after the fact. This is an early list with plenty of room to grow and mature, just like the drone market, so please hit us up in the comments if you want to discuss any other apps that you think belong here. What is your favorite drone app to enhance your flying experience?